Comments: 1st Edition. Used books are NOT guaranteed to contain components and/or supplements such as: Access Codes or working CD's/DVD's! Ships fast! Expedited shipping 2-4 business days; Standard shipping 7-14 business days. Ships from USA! Provides students with a solid foundation in climate science, with which to understand global warming, natural climate variations, and climate models. 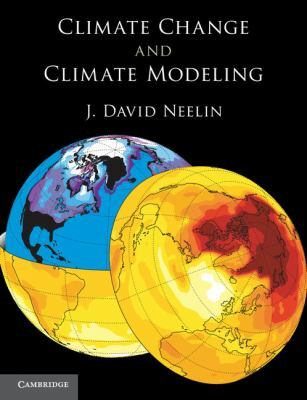 It will inform the future users of climate models and the decision-makers of tomorrow by providing the depth they need, while requiring no background in atmospheric science.Neelin, J. David is the author of 'Climate Change and Climate Modeling' with ISBN 9780521602433 and ISBN 0521602432. Loading marketplace prices 109 copies from $37.50 How does the rental process work?